Stone crabs are native to several parts of North America, including Florida, North Carolina and Texas. They can live up to eight years and grow to about 6 inches wide across the carapace. 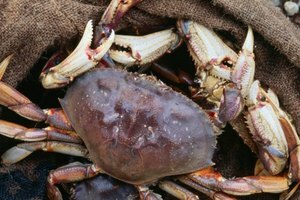 In Texas, it is legal to harvest these crabs’ edible claws as long as the claw in question is at least 2.5 inches long. The harvester removes one claw, and the crab will eventually grow another claw. Stone crab claws are almost always cooked before you purchase them. 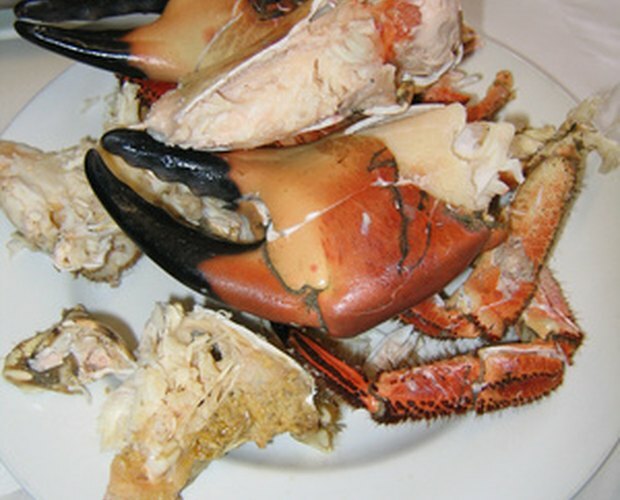 You can keep stone crab claws in the refrigerator for several days and reheat them when you are ready to use them. Fill a pot large enough to comfortably hold all of the crab claws with enough water to cover the claws. Bring the water to a boil, then remove the pot from the heat. 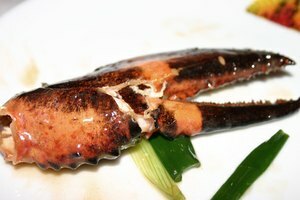 Place the crab claws into the hot water, ensuring each claw is completely covered. Allow the claws to soak in the water for at least two minutes. Remove the claws from the hot water using tongs. You can now crack and serve them with your preferred condiments such as lemon wedges or butter. Preheat your oven to 350 degrees for about 10 minutes. Place the crab claws in a single layer on a baking sheet, then place them into your oven. Heat them for five to 10 minutes, depending on the size of the claws. Remove the sheet of crab claws from the oven. You can now crack and serve them with your preferred condiments such as lemon wedges or butter. 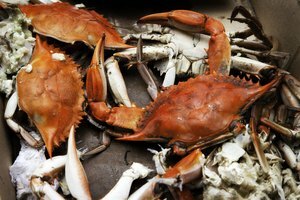 While steaming the claws in water or cooking them in the oven is preferred, you can also reheat crab claws in the microwave. Crack the claws first, then cover them with a paper towel and microwave for 10 seconds. Check to see whether they are warm enough. If not, return the paper towel and microwave them for another 10 seconds. Do not microwave them for more than 30 seconds total. 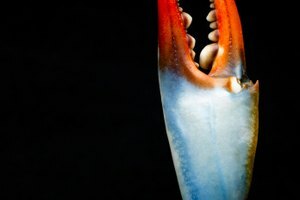 Be careful when dealing with heated crab claws, as they can be extremely hot and might burn you. 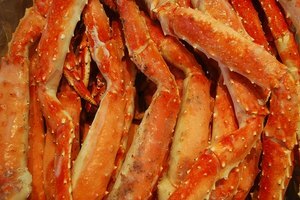 How Long Can You Keep King Crab Frozen?